The holiday season is once again upon us. If you’re in charge of your office holiday party this year, you’ve likely already started to plan a fabulous bash. 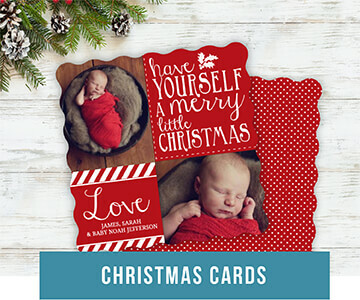 Bring new life to the old office party this holiday season by sending out personalized office holiday party invitations to your exciting event. 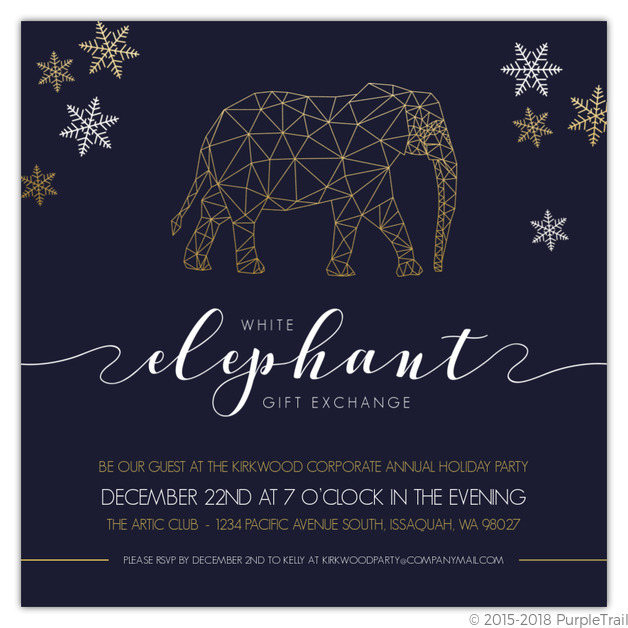 If you’re stumped on what to say in your invitation, these office holiday party invitation wording ideas will help you find the right words. 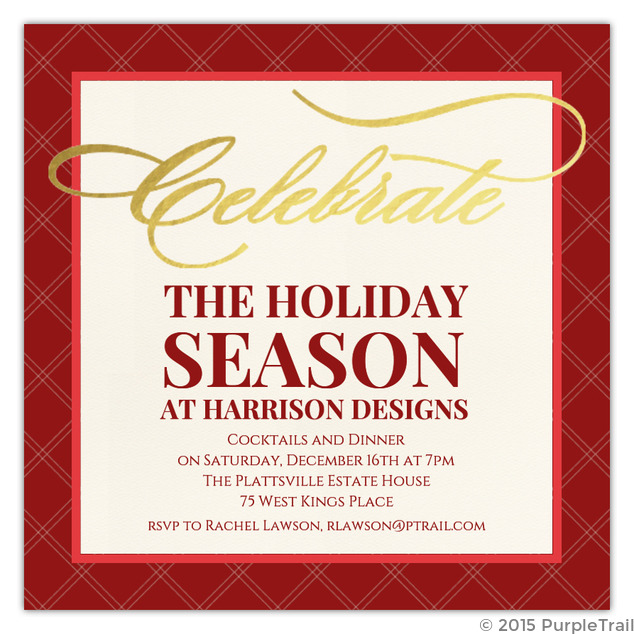 From cute and casual to stunning and sophisticated, PurpleTrail has a large collection of office holiday party invitations to select from. 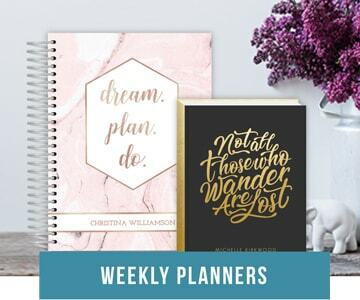 Set the tone of your office holiday party with one of our customizable designs. with a festive Holiday Party! Merriment and laughter will soon begin. Don’t toss this invite in a pile of junk…you could miss seeing your boss get drunk! So bring a gift wrapped with a bow. Who knows who’ll you’ll find under the mistletoe. Take the night off and come to work! 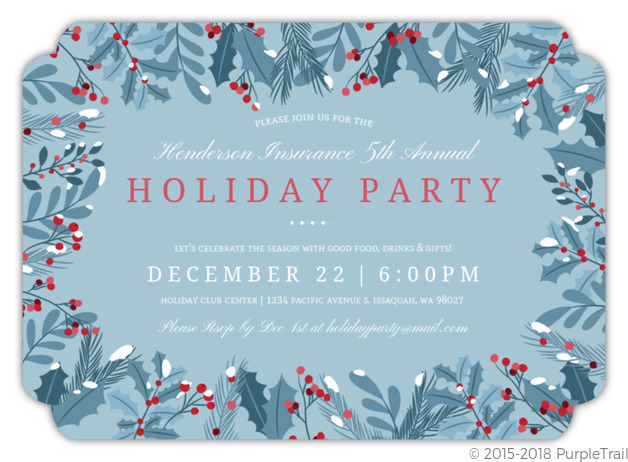 Join us for this year’s, Holiday Party! A night, filled with good food, friends and merriment! Let’s jingle and mingle all night long at the 5th annual Anderson Group Christmas party. Dress to impress and look your best for a company photo and the festive celebration to follow. let’s get together for some Christmas cheer! You’re invited to the annual office holiday party. for a holiday party you’ll never forget! It’s time for us to mix and mingle. As Christmas Day soon will be here! Please join us for our annual office holiday party. and toast to the reason. are a must during the holiday season! Celebrate the warmth of the season. You are cordially invited to join your colleagues at a winter cocktail party. We’re spreading holiday cheer with a company Christmas party! Your single donation for Toys for Tots buys you an evening of dinner, drinks, dancing and laughter. those we hold so dear! Merry everything, happy always! Come celebrate the season at our annual cocktail party. ‘Tis the season for office holiday parties! You won’t want to miss the fun that will take place at ours. as we turn Conference Room B into our own Winter Wonderland. Bring a potluck dish to share and get ready to celebrate the season! and there’s snow on the ground. Now all we need is our co-workers gathered ’round! it’s the wonderful, magical holiday season. 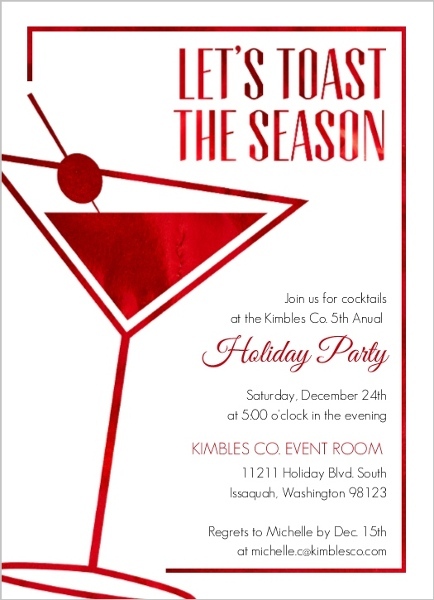 You are invited to the company holiday party! 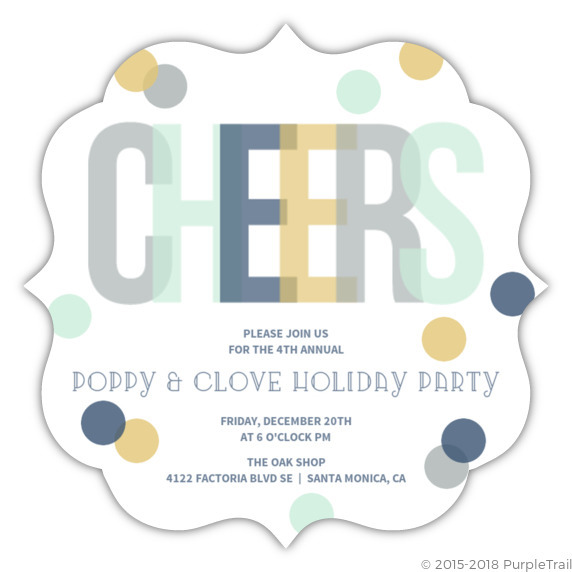 We hope these office holiday party invitation wording ideas have helped inspire you to create your perfect party invitations. 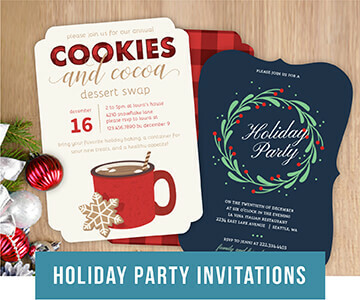 For more inspiration for hosting your best office holiday party yet, check out these tips and these Christmas Party Invitation Wording ideas. Happy holidays from the PurpleTrail team!